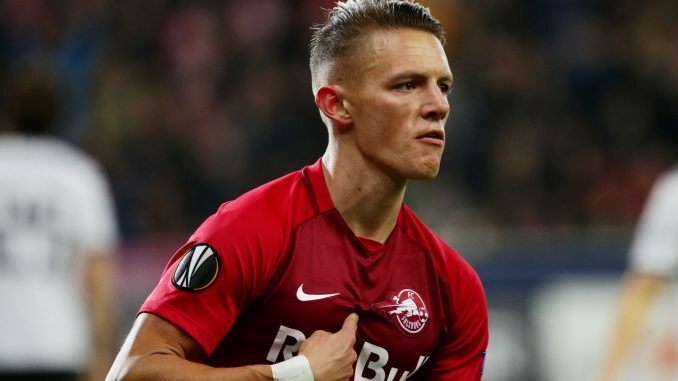 North London rivals Tottenham Hotspur and Arsenal have joined the likes of Southampton and Everton in showing an interest in Austrian club RB Salzburg’s playmaker Hannes Wolf, as per an exclusive report from Adrian Kajumba of The Mirror. The 19-year-old attacking midfielder is one of the most promising young players in Austria and in Europe and shot to fame last campaign as part of the RB Salzburg side which made it to the semi-finals of the UEFA Europa League. The versatile midfielder has started where he left off the previous season and now, in the current season, in all competitions (Bundesliga, Europa League, Champions League Qualifying, ÖFB-Cup), he already has four goals and nine assists for his club so far. The youngster is only under contract with RB Salzburg until June of 2020 and it looks like Wolf could be on the move in the near future as the Austrian outfit will not want to allow him to enter the final year of his current contract. Meanwhile, Arsenal are also chasing two other midfielders: French club Lyon’s prized asset Houssem Aouar and Serie A giants Napoli’s versatile midfielder Piotr Zielinski.